What do y'all think about the camo trend? Love it? Hate it? Reserved only for our Armed Forces and Duck Dynasty? Love this combo! And I adore this zara jacket, sooo cute! Loving the camo's with stripes, great idea! 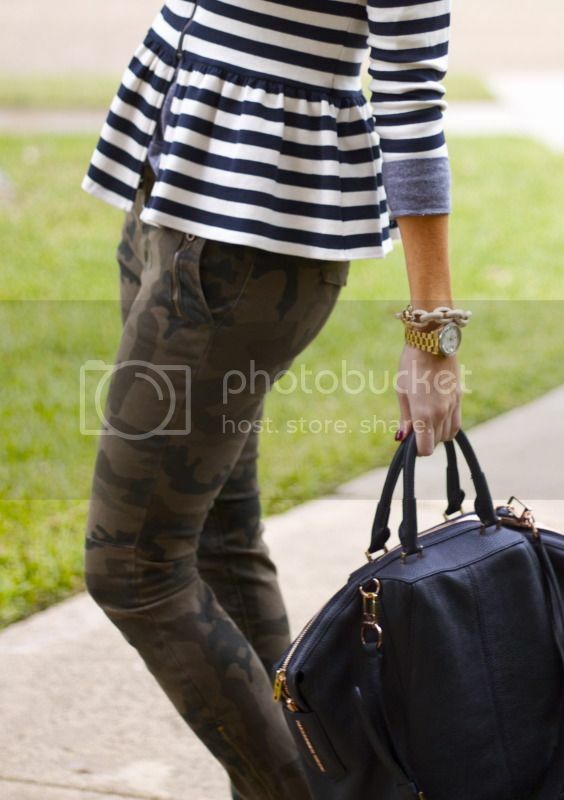 I bought some Zara camo skinnies last season and have been constantly pairing them with black.... I'm sure they'd be well happy to see a stripe or 2 lol! Gorgeous outfit! Love the pattern combo! I recently found a camo jacket at a thrift store. I plan on adding my own touches to it!